What happened to Brazil's jogo bonito, the happy, game-changing style that defined a nation? What happened to Brazil’s jogo bonito, the happy, game-changing style that defined a nation? Perhaps because the article was written by Tim Parks, an avid football supporter, it was hard not to immediately think of cultural parallels from the beautiful game – although admittedly this is usually where my mind goes for parallels to anything. At the World Cup this summer, the word “globalisation” featured heavily. An editorial in the New York Times by Tony Karon captures the general sense that “the globalization of tactics and of Europe’s elite club leagues” led to greater parity on the pitch. Most people thought this was a positive thing, that unpredictability ultimately leads to more entertaining matches. Indeed, this World Cup has been hailed by many as the most entertaining in recent memory. Yet watching the tournament play out, I couldn’t help but feel a little bit like Parks, at times wishing for more variety and nuance. Everything felt familiar, the players and the teams almost interchangeable. And to me, no team marked this trend more than Brazil. As my friend noted watching the Brazil-Switzerland game, “It doesn’t even feel like we’re watching Brazil, this could be just any European team – watching Brazil used to be special.” It was hard to argue with him and also not to wonder if the globalisation of the game had not claimed some casualties: all eight quarter-finalists in Russia were European and the continent has now won the last four trophies. To many, this is a natural transition. With the majority of Brazilian national team players playing in Europe, German legend Lothar Matthäus writes. “It wouldn’t make sense to try to change back to the ‘magical’ football of Brazil.” And yet, at the same time, since their last World Cup win in 2002, the Seleção have been lacking exactly that: magic. To outsiders, football no longer seems fun in Brazil. So what has changed since 2002? 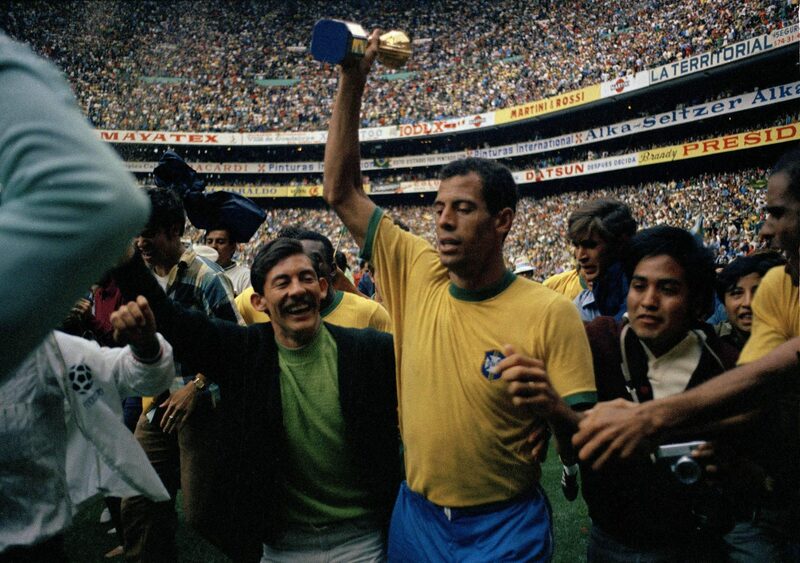 At that point, Brazil had been a finalist at three straight World Cups and won two of them. In Japan and South Korea they won every match and averaged over two goals a game. Since then, their best finish was fourth place in 2014 after they were thrashed 7-1 by Germany in the semi-finals. The most notable difference I found was in the make-up of the squads themselves. 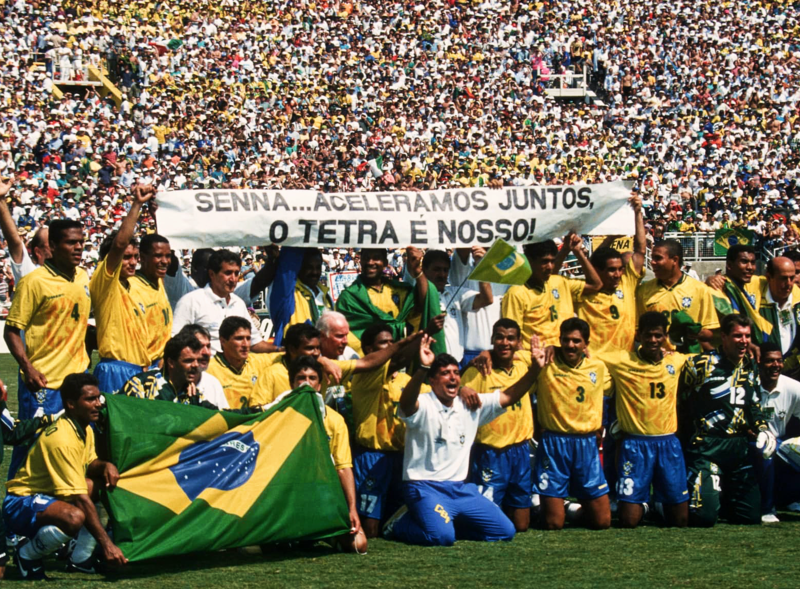 In 1994, as winners, half of the players representing Brazil played their club football at home. In 1998, the number dropped to 41 percent as they finished runners-up, then in 2002 it jumped all the way to 56 percent. Four years later, however, things looked a lot different: in 2006 only three players – 13 percent of the squad – played in Brazil. The numbers for the next three World Cups are essentially the same: three in 2010, four – 17 percent – in 2014 and three again this summer. By now it’s almost a given that a majority of a country’s players play professionally elsewhere. According to the CIES Football Observatory, 65 percent of the players at this year’s World Cup play for clubs outside their home countries. But this trend is not unique to this tournament: according to the Pew Research Center, that number was identical four years ago. It is also not necessarily a recipe for success: only twice in the history of the World Cup has a team won with the majority of its squad playing abroad – France in 1998 with 10 Ligue 1 players and again this year with nine Ligue 1 players. It is, of course, not a perfect metric as one may point out that France’s regular starting line-up this summer featured only one France-based player in Kylian Mbappé, yet it does suggest there is a correlation between having a sizeable core of home-based players – and, by association, a strong domestic league – and success at the World Cup. So what led to this drastic drop-off for Brazil? Were more of its top players leaving to play abroad? In four of the five major European leagues, this does not appear to be the case. According to Transfermarkt, the number of Brazilians playing in LaLiga in 2001/02 was 23; today it is 19. In Serie A it was 30; today it is 36. In Ligue 1 it was 20; today it is 29. In the Bundesliga it was 23; today it is 14. However, the numbers for the Premier League tell a much different story. In the 2001/02 season there was just one Brazilian playing in the English top flight, Arsenal’s Edu. As of today, there are 21. Perhaps more telling is that in 1994, 1998 and 2002, not one Brazilian national team member played in England, while at the last two World Cups the Premier League was the most represented league on the Brazilian roster, with more than a quarter of the squad playing there professionally. Conventional wisdom used to dictate that Brazilian players were not well-suited to the English game, preferring instead to play in “Spain and Italy due to the legacies left by legendary fellow countrymen as well as similarities in climate, culture and playing style,” as Tom Sanderson points out in an article for These Football Times. The Premier League, despite being the richest football league in the world since the mid-1990s, had also, in the early 2000s, still to make its mark on the international game. For a 20-year stretch between 1985 and 2004, England managed only one Champions League finalist: Manchester United in 1999. But in 2003, just a year after Brazil’s success in Japan and South Korea, everything would change when Russian billionaire Roman Abramovich bought Chelsea. As Jeremy Wilson writes in the Telegraph, “In 2003, the idea of foreign ownership was extremely rare, while the concept of billionaire investors was virtually unheard of.” Today, foreign ownership is the norm, and the influx of cash from abroad and international TV deals has transformed the Premier League into a truly global league. Success was almost immediate: from 2005 to 2012, eight of the 16 Champions League finalists were English clubs. And while this can all be celebrated for many reasons, it is also hard not to wonder if there is a connection between the rise of the Premier League and the decline of the traditional Samba style. The league has standardised a certain type of football – fast-paced, physical and aggressive – which it exports on a weekly basis to an audience far larger than that of any other league. The impact on Brazilian players, Sanderson writes, is that “thanks to the rise in popularity of the Premier League, they are now increasingly playing for the English to see.” The number of Brazilians moving to England and their achievements there certainly back this up. Last season’s winners, Manchester City, had four on their roster. 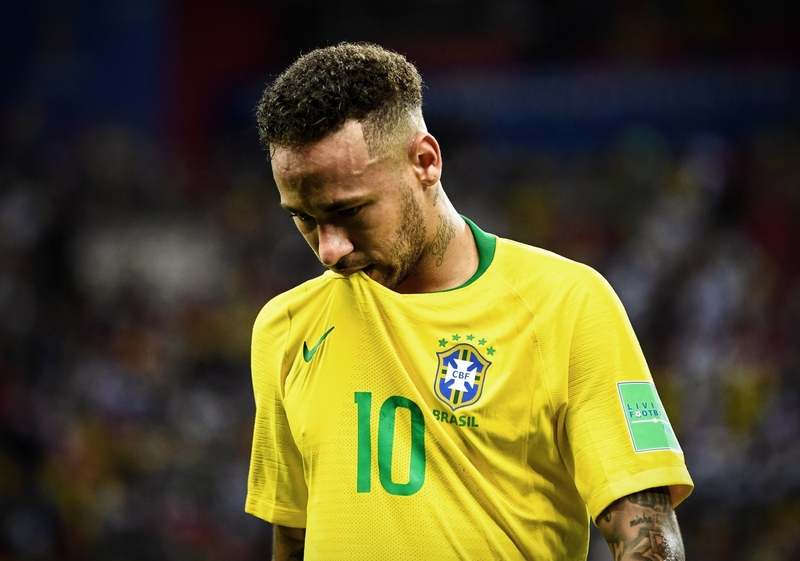 Following the 2014 World Cup debacle, former Brazil national team coach Mano Menezes claimed: “The level of our players nowadays is technically worse,” and that “we don’t know how to develop players like we used to do in the past.” But is this really the case? It appears instead that Brazil is simply developing different kinds of players than they did before, ones more suited to the style of play in the Premier League, where they are flourishing. What this hasn’t translated to, however, is national team success and, if anything, has had the opposite effect, eroding its own football identity at the same time. Is it possible that this concentration of wealth and talent in the Premier League will ultimately kill off these more traditional styles of play, or indeed has already? The famed Uruguayan writer Eduardo Galeano wrote in his book Soccer in Sun and Shadow: “For many years soccer has been played in different styles, unique expressions of the personality of each people, and the preservation of that diversity seems to me more necessary today than ever before. These are days of obligatory uniformity, in soccer and everything else.” Written in 1998, the sentiment feels well ahead of its time. In his editorial, Tony Karon likens football to language, noting, “The eclipse of distinct ‘languages’ of the game by the tactical Esperanto we saw in Russia,” and the metaphor is particularly apt. In the case of Brazil, it certainly feels that some singular form of expression has been lost as players have sought to increase their global appeal. Much like Tim Parks bemoans the disappearance of “the sort of writing that can savage or celebrate the way this or that linguistic group really lives,” I too miss the Brazil of old – it’s flair, joy and unpredictability, when it felt like any player on the field was capable of scoring at any moment. O Jogo Bonito was something special.